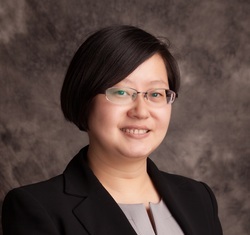 Nan Zhang has over 7 years of project and event management experience, including marketing and business development. As a project manager at SCHSAsia, her responsibilities include developing, planning and executing projects including events. She is also responsible for client relations and business development. For the last few years, she has been in charge of projects and events for the American Chamber of Commerce-China, the Committee of 100, Las Vegas Tourism Authority, Zhou Changxin Art Fund, and others. Prior to joining SCHSAsia, she worked at JL McGregor & Company as a consultant in the areas of projects and events management, and took part in organizing all events for JL McGregor and as such, worked closely with their clients such as Zurick, Goldman Sachs and Thomson Technology Development Co.
Nan Zhang obtained her Bachelor degree for Business & Management at Sheffield Hallam University in 2003. She then continued her postgraduate studies at the school of business and finance of Sheffield Hallam University and obtained her Master degree for Msc Globalisation in 2004. Living and working in the UK for 7 years, Ms. Zhang gained invaluable multi-national and cross-cultural exposure, as well as cultural sensitivity, thus assisting SCHSAsia clients to better understand China and the Chinese market.